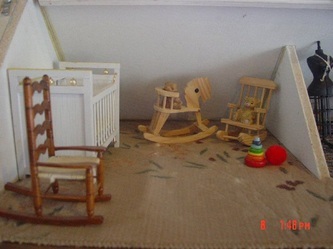 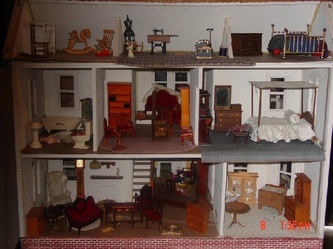 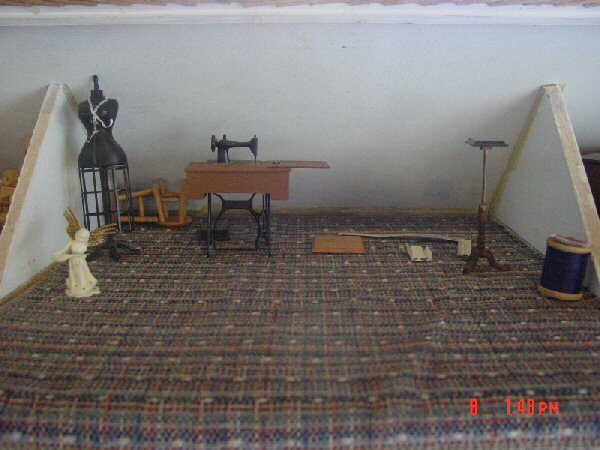 This dollhouse was made from a kit by my husband's grandparents. 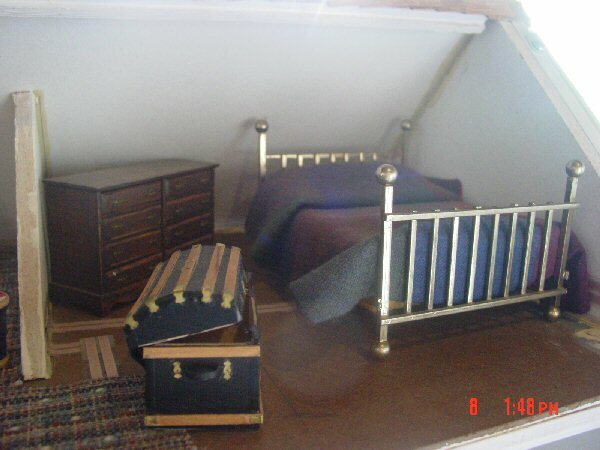 We don't know what kit it was or the year it was built. 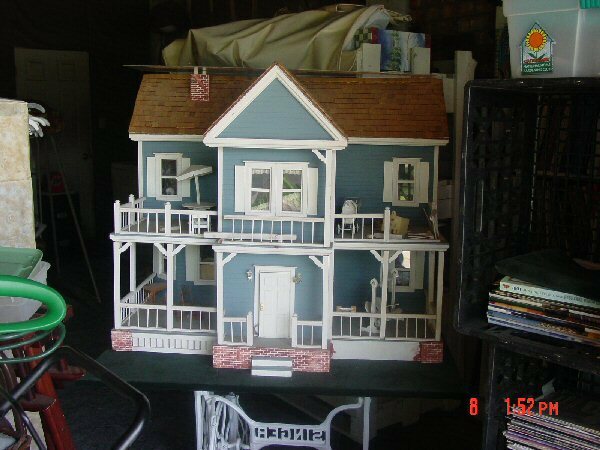 My mother-in-law, Bev, brought it out from Kansas in the mid 80's. Most of the furniture was made from kits by my husband, his mom and grandparents. 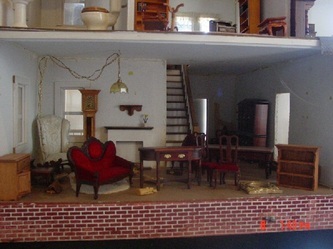 After being stored in a spare bedroom for some years my in-laws moved and the dollhouse moved with them. It was again put in storage and then suffered some wind and rain damage from a really bad storm a couple of years ago. 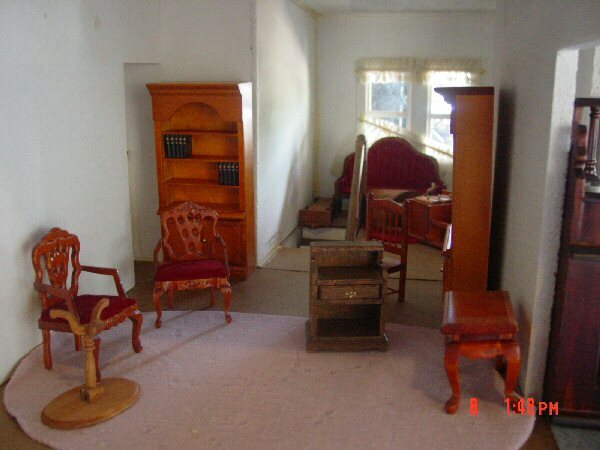 It was moved to the garage after the storm and the furniture still sits in the same place it has been since it was moved. 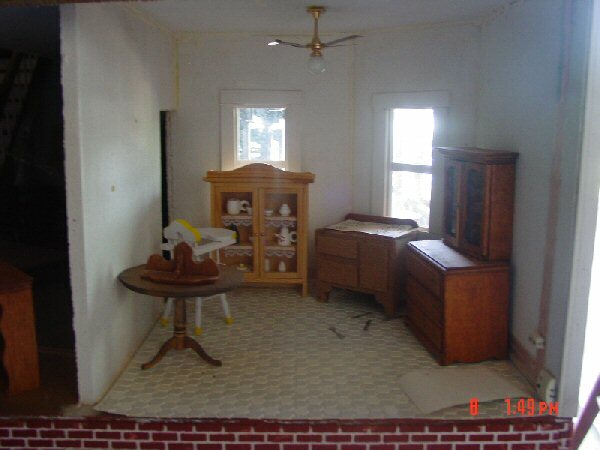 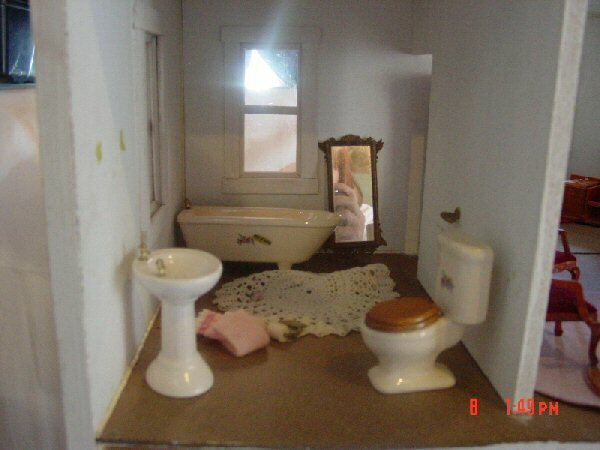 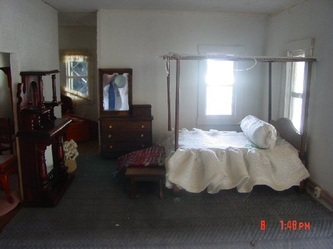 Bev intends to restore this dollhouse to it's former glory.